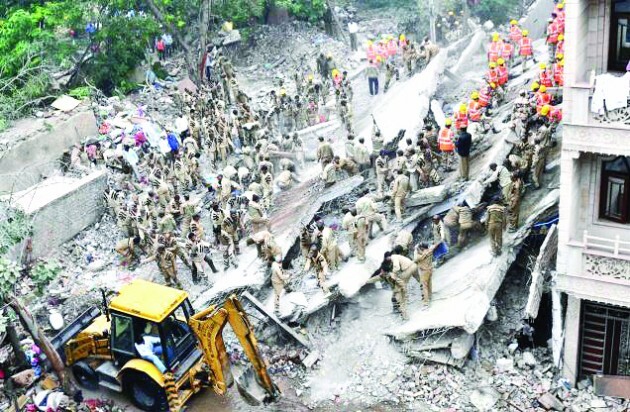 Under the inspiration of Saint Dr. Gurmeet Ram Rahim Singh Ji, volunteers of the Dera Sacha Sauda have participated in numerous humanitarian initiatives and have helped millions of people during times of crisis and natural calamities. With the blessings of the Revered Saint, volunteers of the Dera across the country have stepped in and provided assistance to people during various natural calamities such as earthquakes, floods, droughts, etc. In 1996, a rise in the water levels of the Ghaggar river had created the risk of floods in the town of Sirsa. In that situation, Revered Saint Dr. Gurmeet Ram Rahim Singh Ji Insan personally supervised and blessed the construction of a dam which was 8 kilometers long and 10 feet wide. This dam was built in just a few hours and it helped protect Sirsa not only in 1996 but also in all subsequent years whenever there was a risk of floods. Just a year before that, residents of Sirsa had been badly stranded due to the town being engulfed by a massive flood. 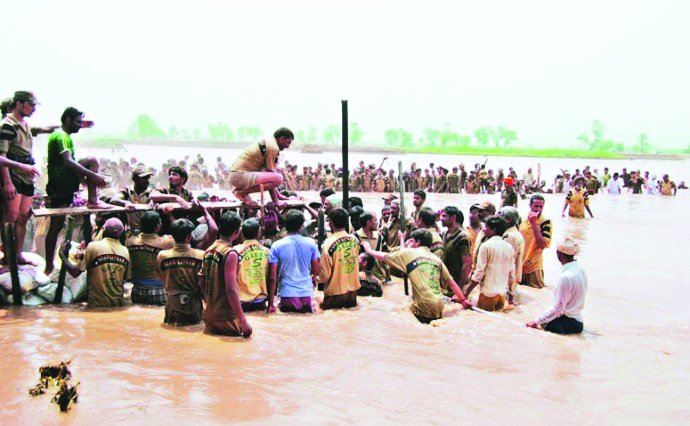 Even then, volunteers and devotees of the Dera Sacha Sauda had helped rescue people from the flood waters and provided them with all necessary facilities such as food and clean drinking water. In 1999, the state of Orissa was hit by a massive cyclone. During that calamity, the Revered Saint had personally sent 26,000 quintals of food and other relief material to Bhuvaneshwar from Sirsa by a special train. Along with that, hundreds of Dera volunteers personally travelled to Orissa with the rations and went door-to-door to ensure that every person in need was provided with adequate food and necessary relief material. In 2000, the district of Bikaner in Rajasthan was hit by a drought. The Revered Saint had personally dispatched over 2,60,000 quintals of fodder to help with the relief operations. Moreover, he also ensured that a new tubewell was installed in the local ashram premises and personally paid Rs 4 lakhs for the diesel which was used to operate the motor of the tubewell. 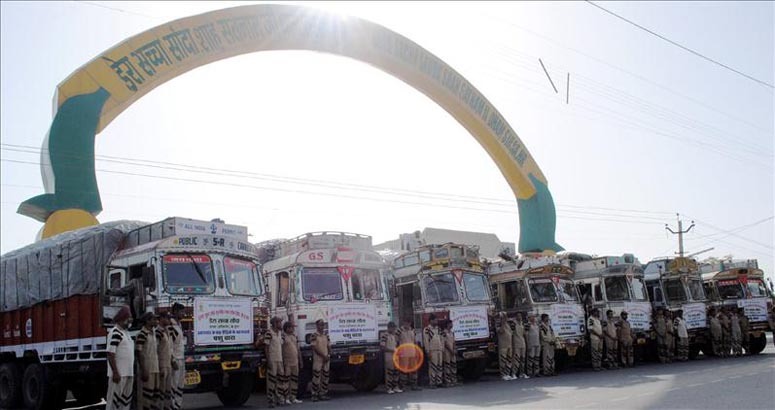 In addition to that, volunteers of the Dera Sacha Sauda personally provided tankers of clean drinking water to over 100 drought-affected villages for a period of 3 months. 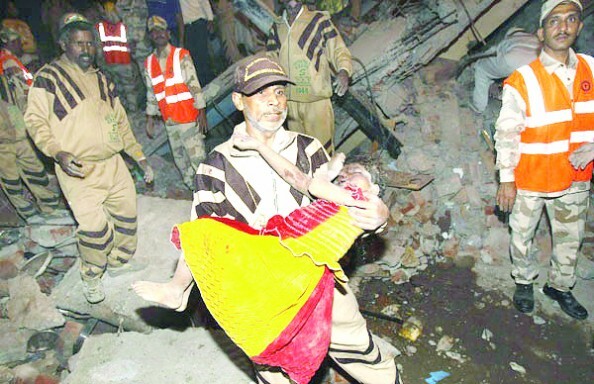 After the January 2001 earthquake hit Gujarat, the Revered Saint personally went to Kutcch-Bhuj along with 3000 volunteers of the Shah Satnam Ji Green-S Welfare Force and lived there for 45 days. 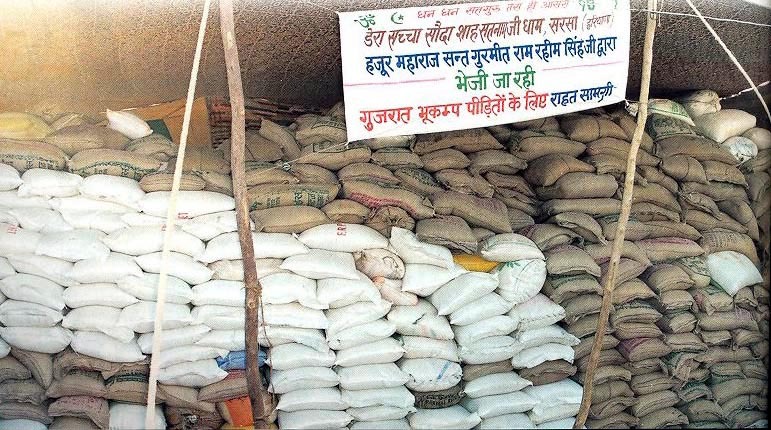 The Dera Sacha Sauda took up the responsibility of providing 42 villages with food ration, medicines, and clothes and fulfilled it wonderfully. Volunteers of the Dera spent around Rs 2 crores to build 8276 tents for providing shelter to people. In fact, the Dera Sacha Sauda was the organization which rebuilt the first village after the earthquake and named it as Pratapgarh. With the blessings of the Revered Saint, over 104 wooden houses in the villages were constructed in just 3 days and a 2 kilometer-long pipeline was constructed to ensure supply of water to the village. In addition to the village of Pratapgarh, the Dera Sacha Sauda constructed over 60 houses for widows and pregnant underprivileged women. In February 2001, the Revered Saint set up a special team called the Shah Satnam Ji Green-S Welfare Force Wing consisting of over 50,000 volunteers. 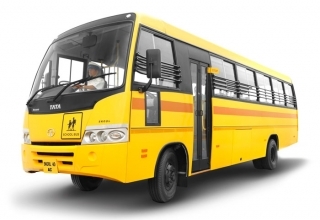 The volunteers include doctors, engineers, plumbers, tailors, drivers, and people with numerous important skill-sets. These volunteers took a vow to help people during all kinds of natural calamities and to provide them with the necessary relief and rehabilitation. 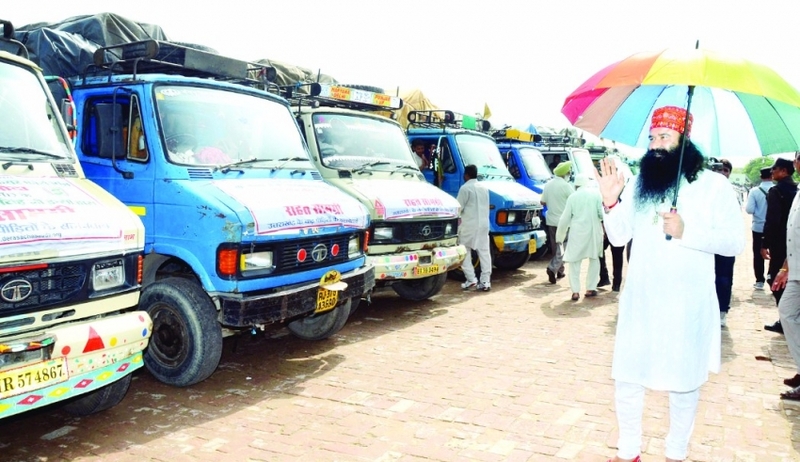 In April 2001, the Dera Sacha Sauda personally supplied water to the drought-affected parts of Udaipur, Churu, and Barmer districts using tankers. 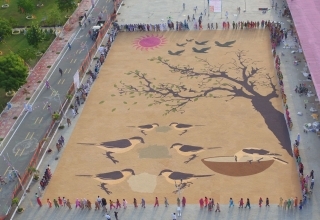 Along with this, the Dera also provided villages with 1,00,100 quintals of animal fodder, 30,000 quintals of wheat, 500 quintals of corn seeds and 100 trucks filled with clothes for the needy. Since May 2001, the Dera Sacha Sauda has been working towards the rehabilitation of adivasis living in the Kotda tehsil of Udaipur in Rajasthan. These tribal were infamous for getting drunk on alcohol after which they would loot passerbys and kill them using bows and arrows. 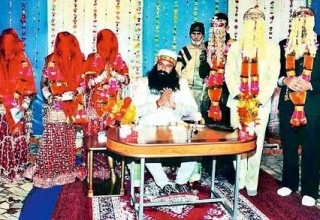 The Dera Sacha Sauda opened 44 rehabilitation centers in this tehsil which has a population of 1.5 lakhs. Through these centers, over 750 volunteers of the Shah Satnam Ji Green-S Welfare Force Wing (including 300 female volunteers) taught agriculture to these adivasis in order to help them grow their own food. Moreover, the adivasi women were taught how to knit and weave clothes which helped empower them and ensured that they became financially independent. Along with that, the volunteers also encouraged the adivasis to start sending their children to schools for education. Thanks to the inspiration and efforts of the Revered Saint, adivasi-dominant districts have now seen an increasing number of children going to school and receiving education. As part of the relief and rehabilitation efforts, volunteers of the Dera Sacha Sauda donated 500 quintals of corn seeds along with textbooks for children and weaving machines for the adivasi women for free. These relief efforts have brought about a massive positive transformation in the lives of the adivasis. 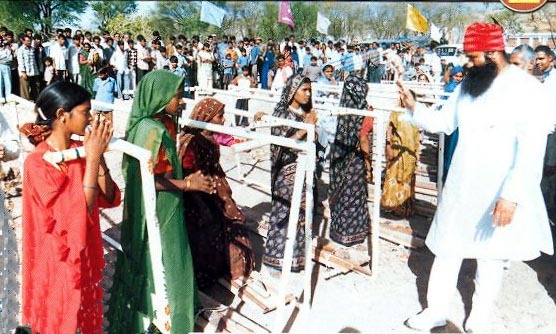 In May 2001, the volunteers of the Dera conducted relief operations in the Kotda and Jhajhaul tehsils of Udaipur along with rehabilitation work for adivasis in the region. With the inspiration of the Revered Saint, the adivasi men took a vow under the name of the Almighty to forsake any kind of addiction. Similarly, the adivasi women have now become socially empowered and financially independent after learning the art of weaving clothes from Dera volunteers. After distributing free weaving machines amongst adivasi women in 2001, the Revered Saint visited the area in the year 2002. During this visit, he organized several Holy Congregations where the adivasi men took a vow to stay away from any kind of addiction and social evil. Subsequently, over 500 hand weaving machines were distributed amongst the women in the village in order to enable their financial empowerment. In 2002, a severe drought hit several districts of Rajasthan including Jaisalmer, Barmer and Bikaner. Over 135 villages in these districts were severely hit and affected by this drought. On the directions of the Revered Saint, volunteers of the Shah Satnam Ji Green-S Welfare Force Wing surveyed the 135 affected villages and decided to send 200 vehicles full of dry fodder. 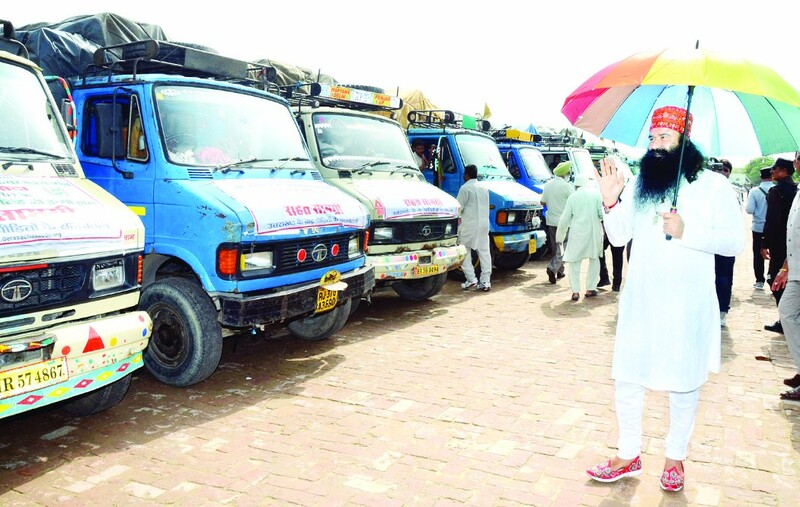 However, thanks to the spirit of the members of the Dera, the number was increased and 350 vehicles were sent to these villages. These vehicles carrying relief material were personally flagged off by the Revered Saint on 2nd October 2002 with his blessings. Over 2000 volunteers of the Shah Satnam Ji Green-S Welfare Force Wing were deployed to ensure that this relief material is distributed across all affected villages. In this way, thanks to the inspiration and efforts of the Revered Saint, dry fodder worth Rs 1 crore was distributed which helped save the lives of over 1 lakh cows and other farm animals. As shown by the above stories, Dera Sacha Sauda has been helping affected people in all kinds of natural calamities and situations. Yet another example is from the Darbhanga district in Bihar where 400 flood-affected villages were provided with 6 trucks and 2 jeeps filled with relief material such as rice, biscuits, candles, matchboxes etc. These relief materials were filled up in 22 containers and distributed to every house in the affected villages. 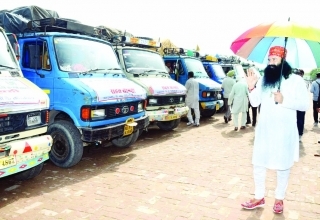 Praising the efforts of the Revered Saint and the Dera volunteers, officials from the district administration said that it is heartening to see a Saint who sends relief material from hundreds of kilometers away for the sake of humanity and to help affected people in need. Similarly, in order to help the people of Uttarakhand who were reeling from the effects of a natural calamity, the Revered Saint sent a team of specialist doctors along with 33 containers filled with relief material. While volunteers of the Shah Satnam Ji Green-S Welfare Force Wing went door-to-door for distributing relief material to over 15,000 families, the team of specialist doctors set up medical camps where injured and sick people were provided with treatment for free. In addition to this, lives of countless animals reeling from the intense floods were saved thanks to the Dera which sent 14 trucks full of fodder. On 16 November 2010, a 5-storey building in the Lalita Park area of Lakshmi Nagar (Delhi) had collapsed causing the death of 65 people and leaving over 100 injured. 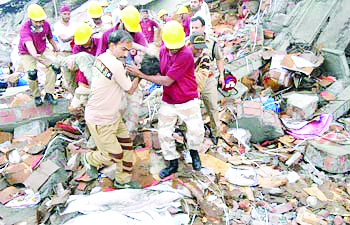 After hearing the news of the collapse, scores of volunteers from the Shah Satnam Ji Green-S Welfare Force Wing of the Dera Sacha Sauda rushed to the area to provide help to the victims. Without caring about their personal safety, the volunteers started cutting through the rubble in order to help save the lives of those that were trapped underneath. This is a great example of the spirit of selfless service towards humanity which is imbibed into every follower of the Dera thanks to the teachings and inspiration of the Revered Saint. Along with these examples, it must also be mentioned that lakhs of Dera Sacha Sauda volunteers have taken the oath of selfless service towards humanity. These examples just provide a glimpse into how the Dera Sacha Sauda, under the inspiration and teachings of the Revered Saint, has managed to save lakhs of lives around our country and helped people those are in need. 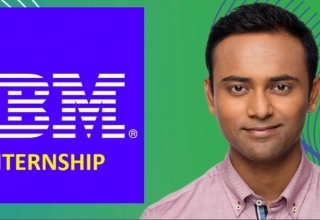 Indeed, the greatest service in the world is that of service towards your fellow human beings. In this day and age, it is overwhelming to see a Saint who spreads the message of humanitarianism and selfless service towards our society. Revered Saint motivates all our readers into helping their fellow human beings. Similarly, it is also important that we share these stories and support organizations like the Dera Sacha Sauda which are tirelessly working towards the benefit of our society and country. 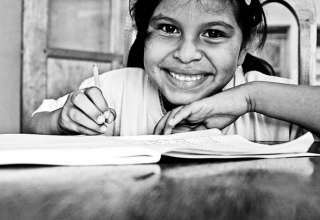 Therefore, we hope that you’ll share this article with your friends which will also help inspire them into doing something for those that are in need around us.